New CD 2017! Contains the single "El Mose no me Piaxe". 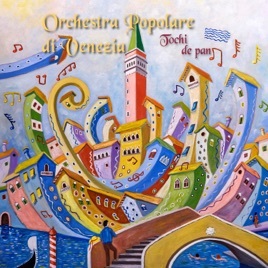 Orchestra popolare di Venezia was born in 1999 when his art director, Stefano Olivato, was asked to create an ensemble of popular music for the musical "One Day in Venice" held at Carnegie Hall Theatre in New York. From here started the long history of a band with more than 200 concerts in Europe, TV shows and important festivals. The choice of the music spaces from the 15° century until today . The show joins the sound “Vivaldi style” of a string quartet and the powerful energy of a percussion ensemble and a choir. 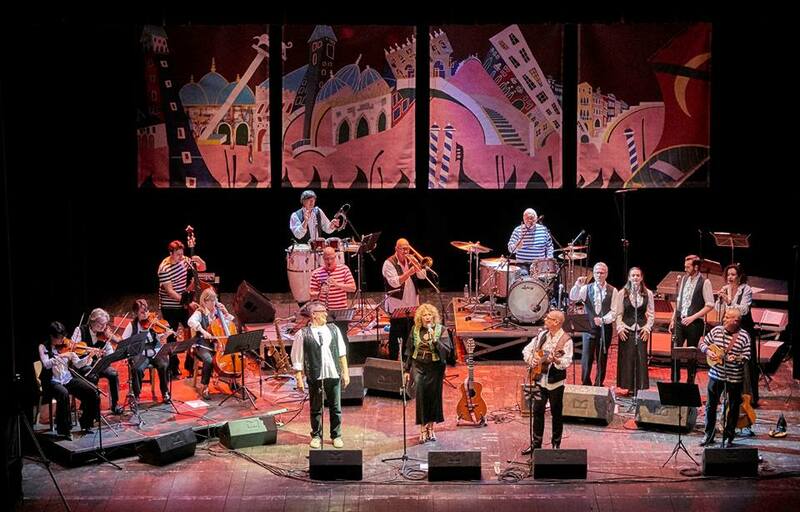 A great concert that brings the audience right to the heart of the ancient venetian spirit played by modern jazz musicians. In 2017, for the new CD and show called “TOCHI DE PAN” we have with us Monica Zuccon and Salvatore Esposito : The “CAFE’ SCONCERTO” a comedians duo that interacts with the musicians.